The Jamaican giant swallowtail is the largest butterfly species in the Americas and endemic to the island of Jamaica. Adults grow up to three inches with an average wingspan of 6 inches, and they are usually dark in color with yellow and blue bands and spots. Males have hair scales on their hindwings near the abdomen. Swallowtails differ from all other butterflies in a number of anatomical traits, such as the unique organ that they posses behind their heads as caterpillars, called the "osmeterium." It is normally hidden and out of view, but when the caterpillar feels threatened by predators, it is used to emit a foul smell. Swallowtails also generally have tails on their hind wings and are migratory. These butterflies prefer to dwell in habitats that are remote and undisturbed, but some can be found in disturbed/cultivated lands at the edge of forests. They prefer primarily wet limestone forests and lower montane rain forests. Swallowtails generally feed on the leaves of trees and flowers and also lay their eggs on the undersides. Little is known about the reproductive behavior of this species. 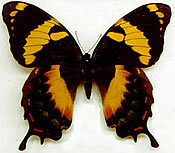 The Jamaican giant swallowtail is now only found in two isolated populations on the island. Population estimates are unavailable. The main threats to the species are loss of habitat and commercial collecting. 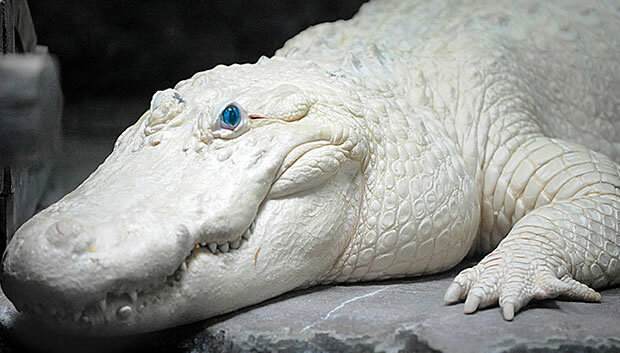 Conservation efforts include captive breeding and a plan to legally protect the species from collectors. There is also a plan to establish a national park where butterfly populations can recover and become protected. Copyright Notice: This article is licensed under the GNU Free Documentation License. It uses material from the Wikipedia article "Papilio homerus". Glenn, C. R. 2006. "Earth's Endangered Creatures - Jamaican Giant Swallowtail Butterfly Facts" (Online). Accessed 4/22/2019 at http://earthsendangered.com/profile.asp?sp=50&ID=5. Need more Jamaican Giant Swallowtail Butterfly facts?